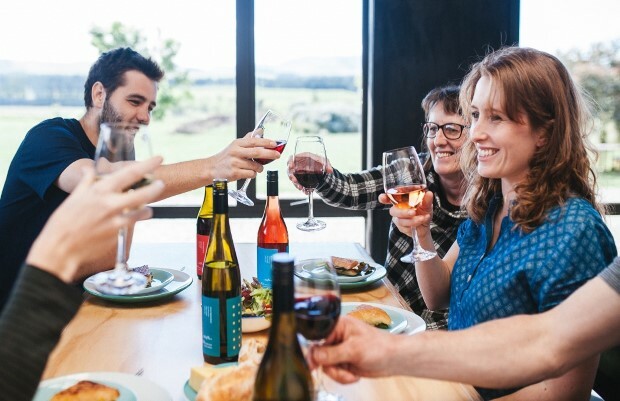 A Canterbury wine label is donating 100 percent of its profits to an anti-trafficking charity. Alanna and Pete Chapman are a Kiwi couple committed to the cause of Hagar. Alanna was working at Hagar New Zealand, when her husband, a vineyard manager, came home one night with an idea. “Pete came home and said, ‘Hey, we’ve got extra riesling grapes and why don’t we sell it as a fundraiser for Hagar,'” Ms Chapman said. What started as a one-off fundraiser quickly became a new wine label called 27 Seconds. “I guess we just thought it’s where we’ve got resources and skill, let’s make it work,’ Mr Chapman said. One hundred percent of the profits go to Hagar, to help survivors of trafficking like Longdy. As a boy, Longdy’s mother sold him to a broker. He was taken from his home in Cambodia into Thailand to work as a beggar. “My life at Thailand is very terrible because I am a beggar and sometimes when I don’t make money for them they don’t allow me to have rice, don’t allow me to eat anything, and some beat me and hurt me,” he said. The Thai police caught Longdy, threw him in jail, then sent him back to Cambodia. He was sold into slavery again not once, but twice. By the time he got to Hagar, he was deeply traumatised. But with the help of Hagar, Longdy began to heal. Today he’s a counselor at Hagar, helping boys like himself through the process of healing. It’s stories like Longdy’s that inspire the Chapmans to keep at it. “That’s what it’s all about at the end of the day and I look forward to – as we manage to give more and more funds – tapping in and hearing more of the stories,” Mr Chapman said. The couple do not earn anything from 27 Seconds. Ms Chapman left her job to run the business while her husband fits the work in between hours at Terrace Edge.